On Wednesday afternoon my boss stuck her head into the room where I was working. 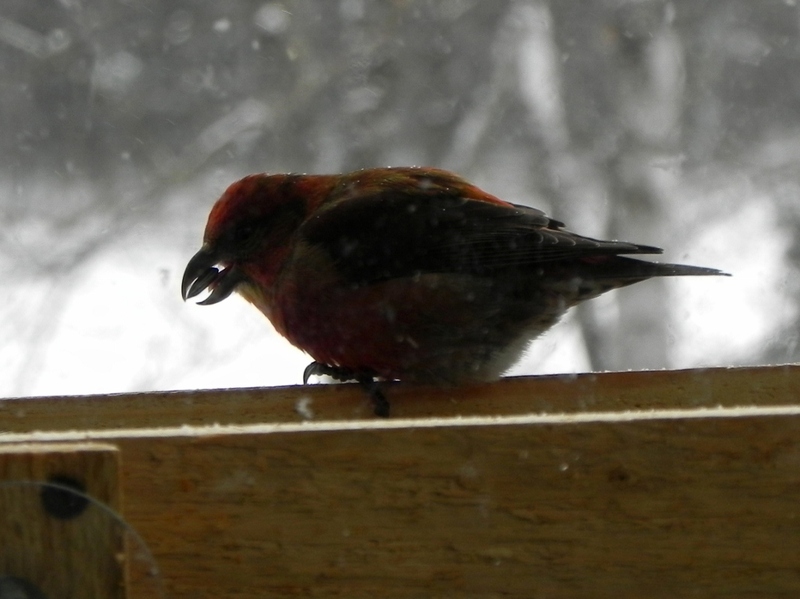 “There’s a crossbill at my feeder,” she said, and while there are plenty of White-winged Crossbills out in the bog, getting a close look at one is still a special event, so up we went to her office to check out the platform feeder outside her window. Photo by Fran McReynolds (my boss). I don’t know why, but Red Crossbills are by far the less common, harder-to-find of the two North American crossbill species, at least in the east. (Both species of crossbill have funky bills with crossed tips to help them pry open conifers’ cones and extract the seeds.) I wish I’d been able to get my own photo of ours, but it was gone by the time I got my camera, and I had to console myself as best I could photographing another bird with “red” in its name. Great Christmas card photo, or BEST CHRISTMAS CARD PHOTO EVER? Common Redpolls. They live up to the “common” part of their name in the winter here… but they’re just so pretty. Awesome! Those are two birds that I got to see for the first time this winter, here in Connecticut, but they look soooooo much cooler the way you get to see them: in the snow! (Where’s Connecticut’s snow? Who knows!) Basically, I’m jealous of your crossbills and redpolls and snow. 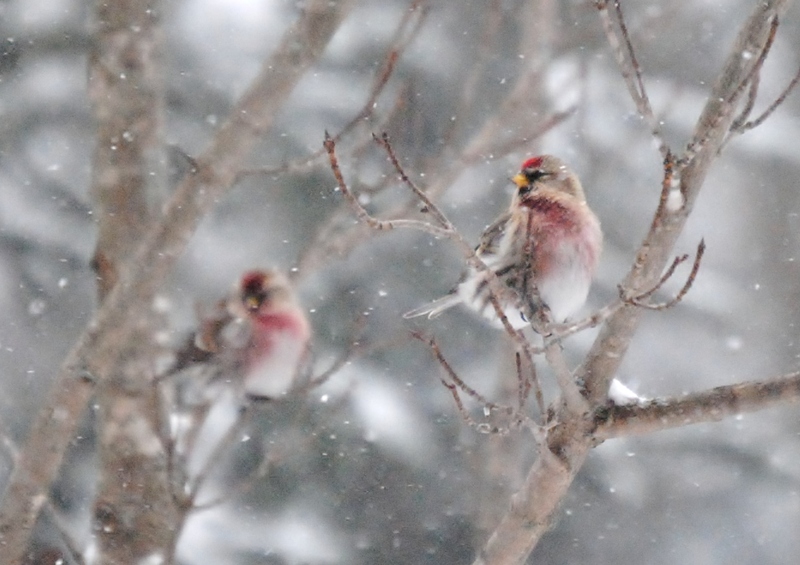 :) Great picture of the redpolls! Yes, Red Crossbills are the more difficult of the two to observe in Ottawa, too. I made a special trip to Gatineau Park in Quebec last year to get my Red Crossbill lifers.